THE NEW VIDEO FOR THE NEW SINGLE "20 LASHES" FEATURING PRINS NITRAM!.. Directed by Ask Hasselbalch.. .. FILUR BIOGRAPHY.. .. 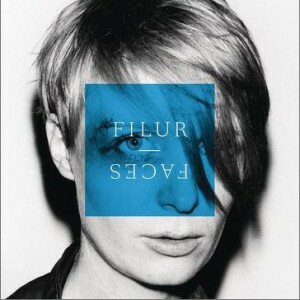 Since meeting in 1999 in their hometown of Copenhagen, Tomas Barfod and Kasper Bjørke have produced a bunch of hits under the name FILUR. International chartings and tours all over, followed in the years to come. With the first two award winning albums, earning them two Danish Music Awards for Best Producers and Best Dance Album as well as numerous DJ Awards, Tomas and Kasper established themselves as a wellknown act on the Danish electronic scene, both as djs and producers... .. On the 3rd album "Into The Wasteland" (released through V2 Records in the summer of 2006 and on Avex in Japan in the fall 2006) the new musical direction was prominent. It features guest vocalists Stina Nordenstam (S), Dominique Keegan (The Glass / US), Blake (the former singer in the Icelandic band GusGus) as well as Danish talents Josephine Philip (JaConfetti) and Aura. The album showed a more diverse angle on the two guys cooperation - leaning towards a more homogenic and analog expression. 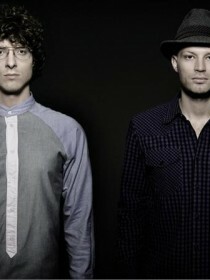 After the release of the 3rd album, Tomas and Kasper started to work more focused on their respective solo careers, both of them putting out successful solo albums – Tomas on Gomma Records (GER) and Kasper on Plant Music (NYC). Tomas is also the drummer in the hyped rock/dance trio, WhoMadeWho (Gomma)... .. After releasing the new single “20 Lashes” in the summer of 2008, FILUR is now releasing “In Retrospect” a double CD compilation, showcasing their singles from the last decade – incl. the 2 new singles “20 Lashes” and “Rental Car” plus a lot of unreleased remixes, incl. works from The Emperor Machine, Larry Heard and Lulu Rouge... .. As Djs Tomas and Kasper have played in most major cities across Europe, Japan and the US and have a long list of big name festival gigs under their belt including; Roskilde Festival (Denmark), 10 Days Of (Belgium), SonnemondeSterne (Germany) and WMC, Miami. They hold a residency in one of Copenhagens finest club, VEGA - and they also Dj seperately around the world. .. .. See and listen more to their solo work here:.. http://www.myspace.com/tomasbarfod.. http://www.myspace.com/kasperbjorke.. ................Try the ..BEST.. ..MySpace Editor.. and ..MySpace Backgrounds.. at ..MySpace.... Toolbox..!